Here is the cover art for the forthcoming anthology of SF/fantasy/horror humour stories, which will include my short story “Small Change”. 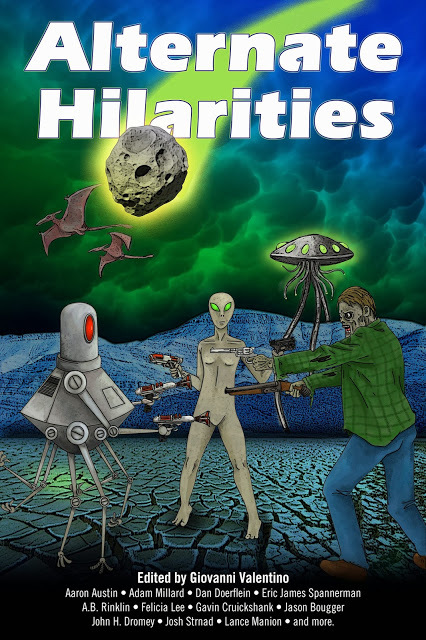 This entry was posted on Thursday, February 20th, 2014 at 11:41 pm	and tagged with Anthology, Cover Art, E-book, Fantasy, Small Change, Strange Musings Press and posted in Alternate Hilarities, Cover Reveal. You can follow any responses to this entry through the RSS 2.0 feed. « Hero’s Best Friend is hot off the (digital) press!